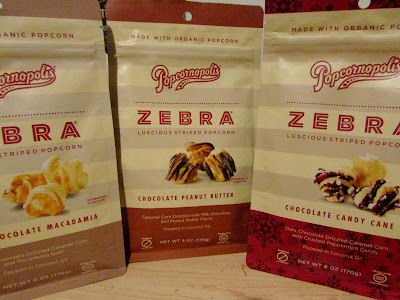 I received products for review from Popcornopolis. The opinions within this post are of my own and I was not influenced in any way. Please do your own research before purchasing products or using services. Your opinions and results may differ. With the holidays coming up, most of us are on the lookout for gifts to give or snacks to take to parties. If this is the case for you, there is a product that fits the bill for both. And that would be Zebra by Popcornopolis. 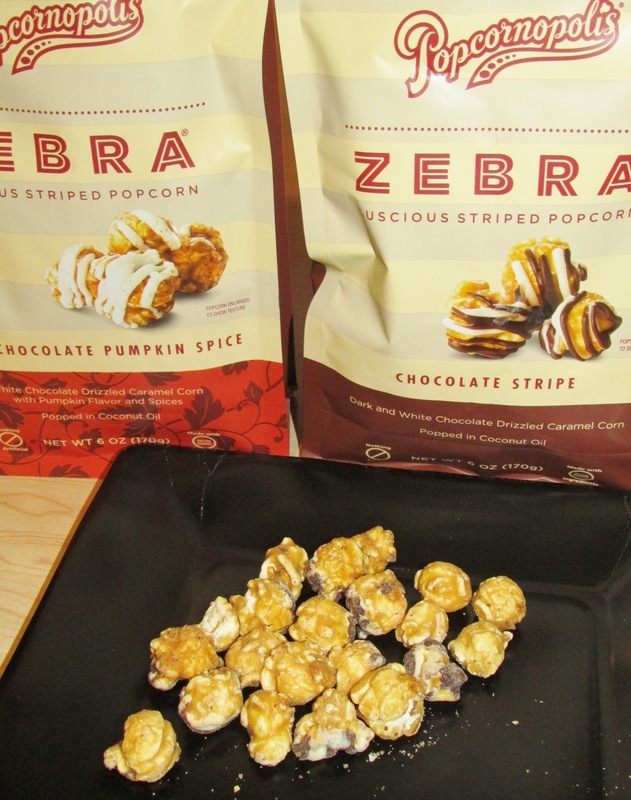 Popcornopolis, a gourmet popcorn company, has launched a delicious new product line called Zebra by Popcornopolis® that includes five indulgent, confection-style gourmet popcorn snacks made with organic popcorn, premium chocolate, and hand-selected ingredients with no artificial colors, flavors, or preservatives. Seriously, you can't go wrong with any of these delicious flavors. It is gourmet popcorn at its finest. The packaging itself is eye-catching and the bags are resealable. Although I would have been more than happy to eat each and every bag by myself, I did share with my teen kids and people from my Small Group. Each flavor was a roaring success. I absolutely loved each variety, but would have to say that Chocolate Peanut Butter was my favorite. The popcorn tasted fresh and the flavor combinations were scrumptious. One person will win the Zebra by Popcornopolis popcorn collection (one bag of each flavor). I am excited to try them all but if I had to choose one first it would be Chocolate Peanut Butter. I love that combination. I would be happy to try the Holiday Edition White Chocolate Pumpkin Spice but any flavor seems so tasty. I'd like to try the pumpkin spice. Yum! They all sound equally good, but chocolate stripe would definitely be one to try! I think I would go the the Chocolate Stripe first but they all sound good! First I would try the Chocolate Peanut Butter variety. I would want to try the chocolate peanut butter flavor. I would like to try the chocolate stripe first. I think I'm most excited to try the Chocolate Candy Cane first but all the flavors sound like ones I would really enjoy. The chocolate peanut sounds yummy. Holiday Edition Chocolate Candy Cane. yum. I am most excited to try the candy cane flavor. I would love to try the chocolate candy cane - it would be great for Christmas treats! I am excited to try their Chocolate Peanut Butter. I would definitely try the Chocolate Peanut Butter first, I love Peanut Butter! 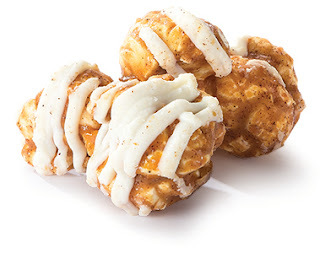 The White Chocolate Drizzled Caramel Corn with Macadamia Nuts would be my first choice. Chocolate peanut butter sounds perfect! I want to try the chocolate stripe. I think the Holiday Edition Chocolate Candy Cane flavor sounds wonderful from Zebra by Popcornopolis Gourmet Popcorn. I am most excited to try the chocolate peanut butter! Although they all sound delicious! I'd like to try the White Chocolate Macadamia first. Probably the chocolate peanut butter would be great. Thanks so much. The chocolate candy cane sounds super yummy!! Chocolate stripe would be my favorite to try first! The White Chocolate Macadamia would be my choice. I'd try the Chocolate Peanut Butter first...followed by the rest! I would love the White Chocolate Macadamia. Yum! I'm most excited to try Chocolate Peanut Butter flavor! I'd try chocolate peanut butter first. I would love to try the White Chocolate Macadamia flavor. I am so excited to try the Chocolate Peanut Butter flavor! Holiday Edition--or any of them! Chocolate Peanut Butter sounds wonderful! Truth be told that I'd love to try all of them. I would love to try the white chocolate macadamia flavor, they all sound wonderful! 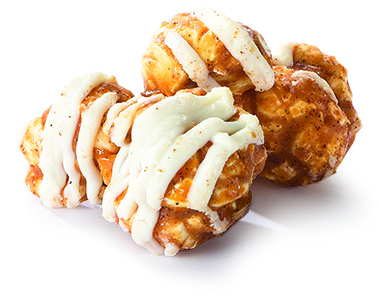 I think I would try the White Chocolate Macadamia popcorn first. I'm most excited to try the white chocolate macadamia. Excited to try the chocolate peanut butter. The White Chocolate Macadamia sounds so awesome. Thanks for the chance! I want to try the White Chocolate Macadamia. Would love to try chocolate peanut butter! 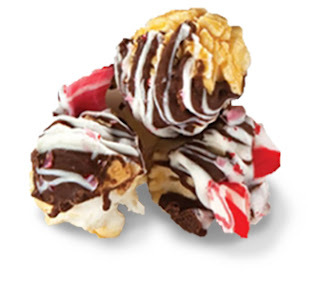 Chocolate Candy Cane popcorn sounds delicious but I also think the chocolate peanut butter would be great too. I love popcorn I eat it every single night as my snack. I will say the white chocolate because it sounds great,. They all sound so good! For me it would come to either the White Chocolate Macadamia or the Chocolate Peanut Butter. The Holiday Edition Chocolate Candy Cane sounds yummy! Count me in on the Chocolate Peanut Butter, those two flavors are my favorite food combination! I really want to try the chocolate peanut butter, I love popcorn. I want to try the chocolate peanut butter one first. I'd like to try Holiday Edition Chocolate Candy Cane first. I'd be excited to try the Holiday Edition White Chocolate Pumpkin Spice because it's the most pumpkinful time of the year! They all sound good! Especially Chocolate Stripe! I would most love to try their Holiday Edition White Chocolate Pumpkin Spice. All of the flavors sound super yummy. I would like to try Chocolate Peanut Butter! I want to try out the Chocolate Peanut Butter flavor! Chocolate Peanut Butter wins hands down for the one I want to try. Don't have to twist my arm to try all of them. Happy Holidays and want to eat tons of these popcorns goodies!! I would love to try the candy cane. I would probably try the Chocolate Peanut Butter first but it would be close the with candy cane. I am most excited to try chocolate peanut butter first...or chocolate stripe. Ugh! Can you tell I love chocolate? :-) Thank you. I would definitely reach for the Chocolate Peanut Butter first! I am most excited to try the Chocolate Stripe! They all sound delicious. But, I want to try the chocolate candy cane first. I'm excited to try the white chocolate macadamia flavor. I want to try the Holiday Edition Chocolate Candy Cane. I was just looking at these at Publix. I was scared to try the peanut butter, but I think I might pick it up the next time we are there. I'd like to try pumpkin spice! I'd most love to try the white chocolate macadamia. I'd love the choc peanut butter. Chocolate Stripe sounds good to me. I really want to try the Holiday Edition White Chocolate Pumpkin Spice. They all sound fabulous, but if I had to pick one I'd say Chocolate Stripe! I would like to try the Holiday Edition White Chocolate Pumpkin Spice. I'd love to try the Holiday Edition Chocolate Candy Cane. It sounds delicious. I'm excited to try the White Chocolate Macadamia.